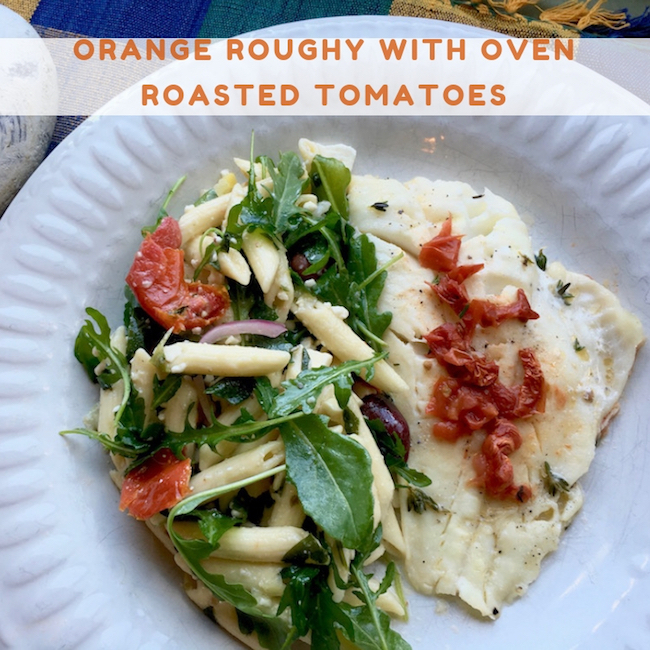 Orange Roughy With Oven Roasted Tomatoes is a simple and tasty meal that can be made outdoors on the grill or indoors in the oven. Cooking in foil packets means there’s less to clean up!. Foil packet cooking is the perfect cooking technique for hot days when you don’t feel like being in the kitchen. You can make the packets and toss them on the grill to enjoy a light and healthy meal in less than half an hour. Even better, clean up can be as easy as tossing the packets into the trash when you are done. This method isn’t limited to warm weather, of course. You can prepare delicious foil packet meals in your oven year round. 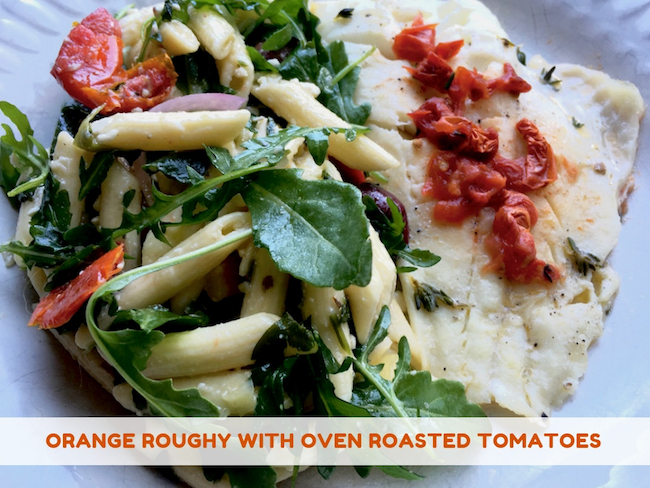 This recipe uses orange roughy filets, but this technique can be used with any type of fish, lean protein and veggie combination. This recipe calls for oven-roasted tomatoes. Oven drying is a great way to use up excess tomatoes from your garden or the farmers’ market. In addition, the process of drying them concentrates their flavor by removing excess moisture. The result is a really sweet, delicious burst of flavor in each bite. To make, slice tomatoes into 2” thick slices and place on a rimmed baking sheet lined with parchment paper. Drizzle olive oil over the slices and sprinkle with salt and pepper. Top with fresh thyme leaves, if desired. Place in a pre-heated 200-degree oven for approximately 2 hours. When finished, the tomatoes will be nicely browned around the edges. Remove from oven and use immediately or store in an airtight container covered with olive oil. Can be stored in the refrigerator for 1-2 weeks. NOTE: You can use fresh or preserved lemons to make this recipe. Preserved lemons are recommended because they add a lot more flavor. You can either buy a container of preserved lemons or easily make your own with Himalayan salt blocks. A word of caution, however, if you use preserved lemons, don’t add additional salt to the filets without tasting. If preparing indoors, preheat the oven to 400 degrees. Tear off 4 sheets of aluminum foil into sections large enough to fold over filets, with another couple of inches on each side to seal. Place a filet slightly off center on each sheet and place 1 large oven-dried tomato slice and 2 lemon slice halves on top of each. Top each filet with ¼ of the fresh thyme and add 1 tbsp of butter to each packet. If desired, sprinkle with salt and pepper, to taste. Fold the aluminum foil in half over the ingredients to seal the packet. Fold the 3 open sides, one at a time, over several times to seal the packet completely. The goal is to seal the packet tight enough to hold in the steam, but allow enough room for the air to expand. Place on hot grill over medium, direct heat and cook for about 8 – 10 minutes. If preparing indoors, place the foil packet into the preheated oven for 15 minutes. Be sure to add a couple minutes to your cooking time if starting with frozen filets. To serve, open the foil packets, carefully avoiding the hot steam. Discard the lemon slices. Transfer the filets to plates or leave inside foil packets. Serve with Mediterranean pasta salad or another side dish with complementary flavors. If preparing indoors, preheat the oven to 400 degrees. Tear off 4 sheets of aluminum foil into sections large enough to fold over filets, with another couple of inches on each side to seal. Place a filet slightly off center on each sheet and place 1 large oven-dried tomato slice and 2 lemon slice halves on top of each. Top each filet with ¼ of the fresh thyme and add 1 tbsp of butter to each packet. If desired, sprinkle with salt and pepper, to taste. Fold the aluminum foil in half over the ingredients to seal the packet. Fold the 3 open sides, one at a time, over several times to seal the packet completely. The goal is to seal the packet tight enough to hold in the steam, but allow enough room for the air to expand. Place on hot grill over medium, direct heat and cook for about 8 - 10 minutes. If preparing indoors, place the foil packet into the preheated oven for 15 minutes. Be sure to add a couple minutes to your cooking time if starting with frozen filets. To serve, open the foil packets, carefully avoiding the hot steam. Discard the lemon slices. Transfer the filets to plates or leave inside foil packets. Serve with Mediterranean pasta salad or another side dish with complementary flavors. Enjoy! I love foil packet meals!! These look so good and cleanup will be such a breeze! 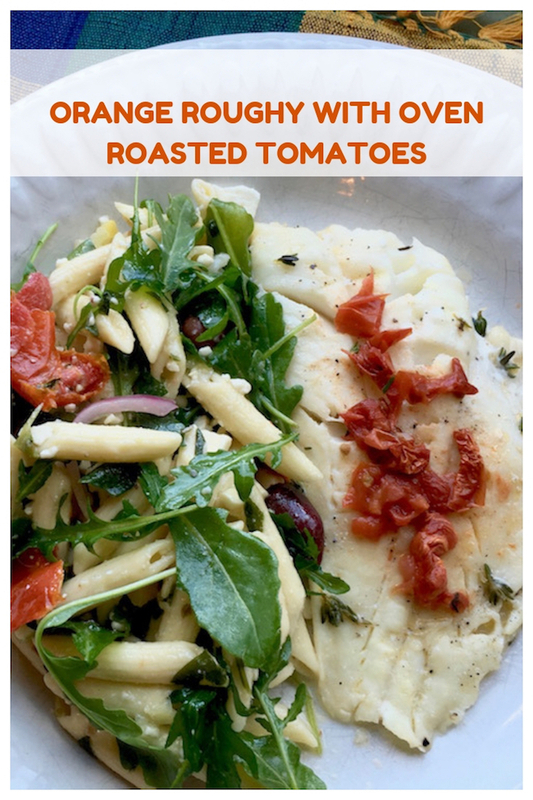 Roasted tomatoes and arugula – sounds absolutely delicious! 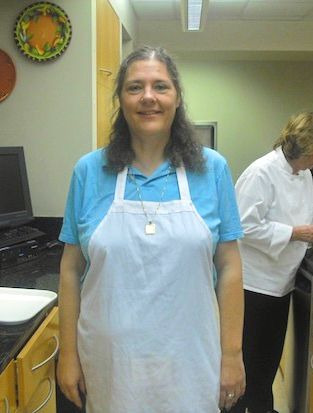 I’ll have to make your recipe.